Get These Exclusive Short Stories For Free Today! 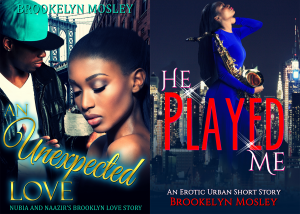 Join my BK Insiders Club and get these free short stories, He Played Me, An Unexpected Love, and 3 In The Morning (not pictured) sent to your email today. These short stories are exclusive to subscribers and can’t be found anywhere else. You can’t even buy it! *The short stories, He Played Me, An Unexpected Love, and 3 In The Morning absolutely free just for signing up. *More exclusive subscriber only short stories. *Early chapter previews of new stories before they are even released. Joining is absolutely free and I’ll never send you spam or sell your email address to anyone. You’ll only receive what I’ve mentioned above. *THIS FORM IS CURRENTLY CLOSED. PLEASE CHECK BACK.